We provide Mechanical Product Design Services. Our forte lies in offering our clients with product design to suit the specific requirements of our clients. We work in close proximity with our clients, so that we can understand the requirements of our clients and offer the component design solutions accordingly. - Complete mechanical design of saddle supported horizontal pressure vessel as per ASME Section VIII Division 1, ASME Section VIII Division 2, EN-13445, PD 5500. M. K. & Sons Engineering Pvt. 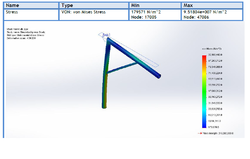 Ltd.
Design and drafting the any component using modeling software.